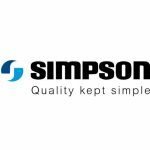 Simpson 10kg top load washing machine with ActiveBoost detergent pre-mixing technology, 4 Energy Star rating, Inverter motor, Time Adjust function, everyday fast wash programs and durable glass lid with soft closing. Our best washing results in cold water – With ActiveBoost technology, detergent and water is premixed in a separate chamber before spraying onto your clothes, meaning less detergent residue at the end and an even, cleaner result than ever before. Effortlessly organise your busy life – Let us help you stay organised. With Time Adjust, you can increase or reduce the total wash times to fit into your life. Plus, when used with the clever Delay End function, you can even decide when you want it to end. Now that’s convenient! Save time with fast wash programs – Sometimes you just need to get a few things clean fast and that’s where the super Quick 20 minute program comes in handy. The Daily 45 minute program is ideal of your regular loads. Simply save and use your favourite program with one touch – Save time and make life a little easier by saving your favourite wash program. 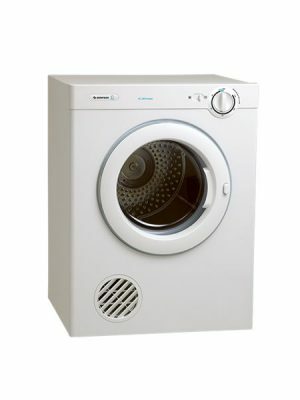 This easy to use feature allows you to save your most used cycle and then use it at the touch of a button. Durable and easy to clean premium lid – The toughened glass lid is not only stylish but durable. Its scratch resistant flat surface can be used as an additional work space in your laundry room and best of all its easy to wipe clean. An inverter motor that really lasts – Enjoy better care for your clothes with our super efficient inverter motor. It’s not only durable, but also saves on energy too. So reliable, it has a 10 year warranty on the inverter motor (parts only). 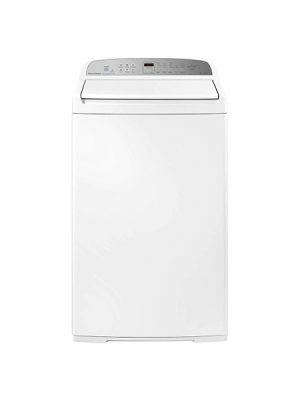 Agitator wash action – With a gentle and effective agitator wash action, all of your clothes are in safe hands. 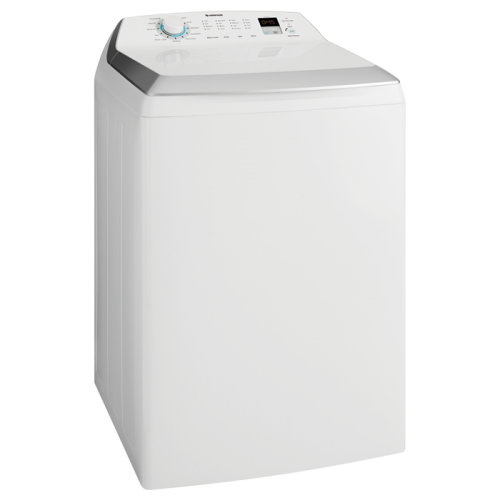 Our proven top load washer agitator system ensures your entire load is washed evenly and gently. 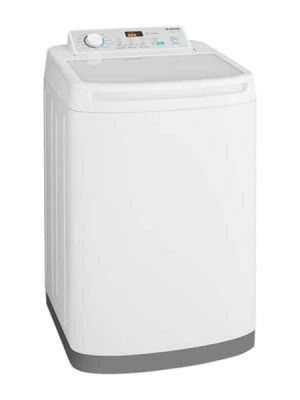 The agitator helps to prevent tangling during the wash and spin cycles.